What do Chinese paintings, the Australian desert and Swedish tinned pineapples have in common? They all appear in a piece, called Bed and Breakfast, that Sven Lindqvist wrote in 2012. The last item on that list has always stuck with me. As a child in 1930s Sweden, with no TV and hardly any books, Lindqvist was obsessed by whatever colour pictures he could find. These were often the illustrations on the sides of pineapple and sardine tins. To his image-starved mind, the sensation of looking at these labels was so rich, so vivid that it felt like he could just jump right in. It was as if by eating the pineapples he could enter a kind of tin-label fairytale. Last year, when I was asked by Jop van Bennekom and Gert Jonkers to edit a new magazine about books, one that they were creating with Penguin, those pineapples sprang to mind – but I couldn’t quite put my finger on why. The magazine, they told me, was to be released quarterly, or rather ‘seasonally’, each issue hitting doormats and shelves in a way that was timed to coincide with the beginning of each calendar season. An issue might include fashion, art, photography and recipes as well as entertaining articles (like their other magazines, Fantastic Man and The Gentlewoman), but all would relate in some way to a ‘Book of the Season’. Imagine a style magazine, guest-edited by a classic work of literature. Also, there would be a cover star: a famous, fascinating figure from a discipline other than writing who we’d interview at length about their reading habits and beyond. The magazine is called The Happy Reader. 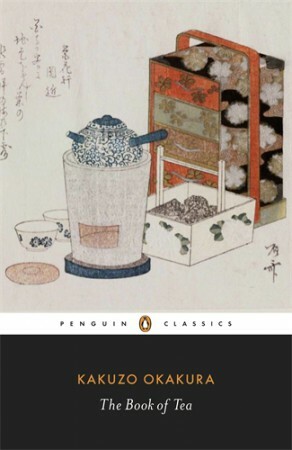 The first issue coincided with the winter we’re now finally leaving, and the Book of the Season was a quintessential fireside read, The Woman in White by Wilkie Collins. We arranged a night-time fashion shoot on Hampstead Heath, and commissioned a recipe for bon-bons. A veteran soap writer penned an article explaining her craft. Nicci French reminisced about childhood reading. All was in the orbit of the unputdownable Victorian thriller. 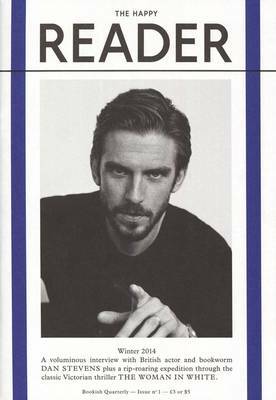 The cover story was an interview, by Naomi Alderman, with bookish British actor Dan Stevens. 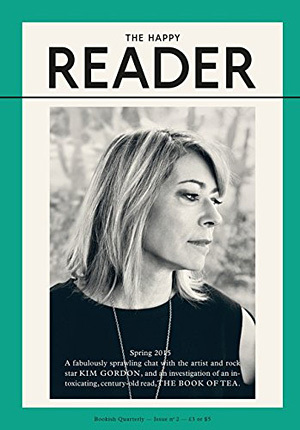 The spring 2015 issue is out this week: the amazing artist and rock star Kim Gordon is our cover interview and the Book of the Season is The Book of Tea by Kakuzo Okakura, a densely witty and beautiful work spiralling out from the formal Japanese tea ceremony. Included in that section are a piece by a former convict about the importance of tea in prison (or ‘diesel’ as it’s known behind bars), a study of a florist in Montmartre as he assembles a bouquet for us to photograph, and some extraordinary full-page photos allowing us to more closely examine the chaos of water as it approaches boiling. Perhaps it will enhance the atmosphere of this blog post to mention that I’m writing it in an airport bar in Corsica, where I’ve come after reading what will be summer’s Book of the Season, Dorothy Carrington’s Granite Island. I enjoyed the trip very much but three off-season nights in 2015 were never going to resemble a lifetime spent among the bandits, menhirs and psychics of Corsica as it was sixty-odd years ago. I suppose I was trying to climb into the book’s pineapple tin, but that’s the thing about books. They’re actually designed to be entered; you just read them. ‘The Happy Reader: entertaining dispatches from inside the pineapple tin’? Not a strapline they’d ever let me use, but maybe there’s something to it. Seb Emina is editor-in-chief of The Happy Reader, an international magazine about reading by Penguin and Fantastic Man, and co-author of The Breakfast Bible, a breakfasters’ compendium published by Bloomsbury. ← Announcing the Launch of Our New Website!